Eating healthy, doing some exercise, sleeping enough and managing stress forms the basis of prevention of diseases naturally as doing so makes you work with your body, not against it. You may have witnessed it firsthand that it’s much easier to take care of something and not let it break as compared to fixing it after breakage. Since I firmly believe that prevention is better than cure, I have found that the following approach arguably offers the optimum compromise between being paranoid and being careful about your health to achieve prevention of diseases naturally. To start off on this track of prevention of diseases naturally, everyone should have a baseline health data about themselves, a benchmark for their health to know and compare against in later years of life. This is one of the most important things you can do for your health as it gives you an idea of how healthy are you, how is your health changing as you age and does anything require attention to avoid serious issues later. You should know the following details about yourself by the time you are 15 if you want to achieve prevention of diseases naturally. If you never did it, it’s never too late, you can do it now, whatever your age is. It’s never too late to start taking proactive care of your health. This helps you to eliminate most if not all surprises related to your health. Fasting Blood sugar: It gives an indication if you are susceptible to developing diabetes later on in life and if that’s the case, you should be mindful of your lifestyle choices related to diet, exercise, stress etc. Resting Heart Rate: One of the most underutilized markers of good health. Strong & healthy resting heart rates tend to be lower than average person’s which basically means that your heart is stronger than most normal persons who don’t do aerobic exercises (walk, jog, swim etc). As a result of stronger heart it can do the work in lesser heart beats than a person having sedentary lifestyle. 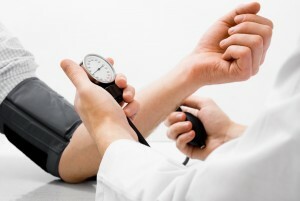 Resting Blood Pressure: An excellent indicator of overall health. In the absence of a disease, the lower blood pressure the better. It gives an indication of the health of your arteries & veins in general. A lower BP indicates elasticity of your arteries & veins which is a sign of excellent health. CBC: It consists of various parameters which checks the health of your blood, your lifeline, the nutrient of your body. Almost all serious diseases can be identified by this simple & inexpensive test. Lipid Profile: This is a blood test which measures the different types of fat in your blood. This in turn can tell you if your arteries & veins are going to get clogged or not and is a good indicator of heart disease. If you have a familial history of any illness, get yourself checked for that illness as early as possible. For example, if you have Thyroid problem in your family, it’s a good idea to get a baseline data for yourself as early as possible and get the same baseline data for your children not later than 15 years of age. If no health issues are identified in your check up, you can repeat the tests after every 5 years. This gives you a head start and you can identify illnesses before they can become a serious risk. If your tests show a problem e.g. elevated fasting sugar, you will know that you have to modify your lifestyle and be cautious of all those factors which can cause diabetes later in life. Hippocrates said thousands of years ago i.e. Let food be your medicine and medicine be your food. By getting the essential nutrients through eating right i.e. a well balanced diet, you should be able to overcome common ailments. If a healthy lifestyle still doesn’t let you get rid of lingering health issues, then let homeopathy help you in overcoming those hurdles which stop you from getting in your best possible shape ever. No one approach is perfect for leading a healthy life. It’s always a combination of diet, exercise, sleep, stress management, loving relationships and community service etc.